Since 1975, Forest Fair has been at the center of good times in Girdwood. 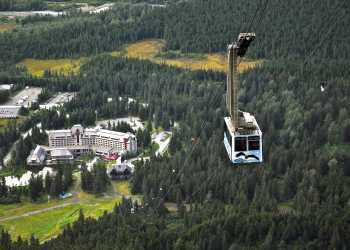 The festival takes place in early July every year at the fairgrounds in Girdwood. The good times roll July 5-7, 2019. The community parade kicks off the weekend and all are welcome to join the cast. The parade leads fairgoers from the Alyeska day lodge to the celebration’s main venue, Forest Fair Park, just off the Alyeska Highway on Egloff Drive between Glacier and California creeks. With handmade crafts, local music on three separate stages and one of the friendliest beer gardens in Alaska, this annual gathering is tucked into the Chugach, yet has something for everyone. Forest Fair vendors are all about the novel, the unusual and the homemade. Mass-produced items and pre-packaged foods are out. There is no admission fee, only good times.